You can begin utilizing AEMPS OnDemand right away. There is no requirement for a lengthy implementation or training to operate systems. Moreover, you do not need to budget for buying any software. Our OnDemand service allows you to start at once so that you can reap its significant benefits immediately. View the content of AEMPS website, in particular the Solution and the Examples pages. Optional. If you would like, we can schedule delivering Advanced Engine Maintenance Planning Workshop two days), and/or one-day AEMPS Workshop. 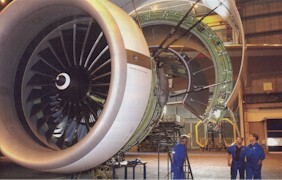 That will provide detailed understanding and learning of how to bring in advance methodologies for your engine MRO planning. Visit AEMPS Session. Familiarize yourself with the input data pieces. View examples, and learn the outputs that will be sent to you. Contact us so that we can set up your account. Start a session. Complete the Excel sheets with your data. Email us the completed AEMPS input data Excel sheets. Let us know which one of the four AEMPS systems you would like for us to apply to your data. We will then email you the Excel output sheets. That’s all! Our AEMPS OnDemand is an uncomplicated, yet very powerful solution to apply the most advanced technology for your engine MRO planning, and to create Lean MRO for your organization promptly.